Baptist ethicist and theologian Dr. Roger E. Olson (pictured) recently issued a call "for Christian churches to publicly stand against the death penalty for Christian reasons." A professor of Christian Theology and Ethics at Baylor University's George W. Truett Theological Seminary, Dr. Olson writes in an essay for the theology website Patheos.com that "authentic Christians must oppose the death penalty." He says that, while "[t]here are many secular reasons to abolish the death penalty," there are also theological reasons why church opposition to capital punishment should be non-negotiable. "Christians believe that every individual human being might be someone chosen by God for his salvation and for his service," he writes. "When we take another human life unnecessarily, we usurp God’s prerogative for that person’s eventual salvation or, if they are already saved, for that person’s future service for the Kingdom of God." Dr. Olson's essay urges all Christian churches to take public stands against the death penalty. "I believe the Christian reasons for opposing the death penalty are so strong that capital punishment ought to be, as slavery was in the mid-19th century, an issue for a 'church struggle' that divides if sadly necessary. At the very least, Christian pastors and other leaders ought to preach against capital punishment from their pulpits and in their newsletters." Creighton Horton spent 30 years as a prosecutor with the Salt Lake District Attorney's Office and Utah Attorney General's Office before retiring in 2009. In a recent op-ed, he said his experience handling capital cases led him to believe Utah should abolish the death penalty. 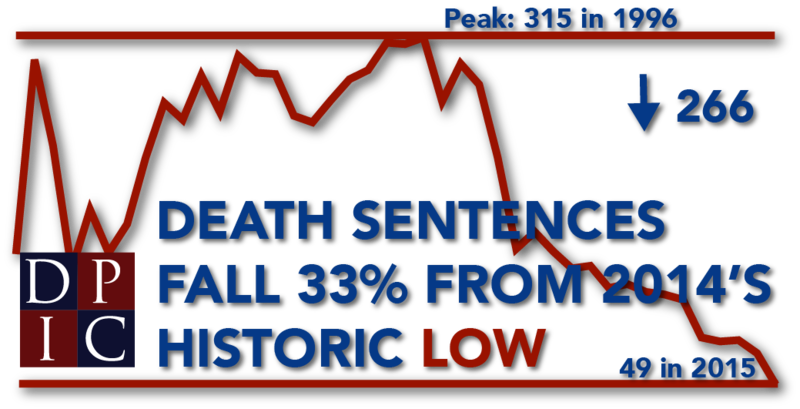 Horton noted the negative impact the death penalty can have on victims' families. "If a capital case goes to trial and the jury returns a verdict of death, that pronouncement is probably the last satisfaction the victim's family will get for years, if not decades," he said. "From that point on, the delays and uncertainties of the death penalty appeals process are likely to take a terrible toll, keeping the wound open and denying the victim's family any closure." He said a life without parole sentence for the perpetrator was often the best outcome for the families of victims: "When that happens, the murderers go to prison and, for the most part, no one hears about them again — and the victims' families are able to move on with their lives." He also raised concerns about wrongful convictions, stating, "No system of justice is perfect, and so it's possible that an innocent person could be convicted of capital murder, and wrongly executed." The Utah legislature is considering a bill to repeal the death penalty for future offenses. The bill passed the Utah Senate, and is likely to face a vote in the House on March 10. The Lexington Herald-Leader, Kentucky's second-largest newspaper, announced it was ending its long-held support for the death penalty, and now believes the state legislature should abolish capital punishment. Describing its previous position as "keep it but fix it," the editors stated, "we must now concede that the death penalty is not going to be fixed and, in fact, probably cannot be fixed at any defensible cost to taxpayers." Citing the 2011 American Bar Association assessment of Kentucky's death penalty, the Herald-Leader said the system was "rife with injustices and the potential for error." Among the reasons cited in the paper's editorial for the changing its position was the negative effects of the death penalty on victims' families and correctional officers. It quoted Dr. Allen Ault, who oversaw executions in Georgia, and who said, "I do not know one [correctional officer] who has not experienced a negative impact," noting an increased risk of depression, substance abuse, and suicide. Mother of Murder Victim: "The Death Penalty Would Inflict Additional Pain on Us"
Duval County, Florida prosecutors are seeking the death penalty for the 2013 murder of Shelby Farah (pictured), over the objections of Ms. Farah's family. After unsuccessful attempts to persuade prosecutors to non-capitally resolve the case, Darlene Farah, Ms. Farah's mother, publicly expressed her views in a recent column in TIME. Farah said, "I do not want my family to go through the years of trials and appeals that come with death-penalty cases." Instead, she wants her family to be able to, "celebrate [Shelby's] life, honor her memory and begin the lengthy healing process." Darlene Farah says her daughter would not have wanted the death penalty to be sought on her behalf, and "more killing in no way honors my daughter’s memory or provides solace to my family." Duval County is among the 2% of U.S. counties that are responsible for a majority of U.S. death sentences and is represented by a prosecutor's office that has sent more people to death row since 2009 than any other prosecutor's office in the state. Farah has asked prosecutors to accept the defense offer to plead guilty to all charges, but she says "[prosecutors'] desire for the death penalty in my daughter’s case seems so strong that they are ignoring the wishes of my family in their pursuit of it." Farah said the use of the death penalty is impeding the healing process: "Death-penalty cases are incredibly complex and drawn-out. It’s been two and a half years since my daughter’s murder, and the trial hasn’t even started...[W]e can’t start to heal and move beyond the legal process, which never seems to end." "I have seen my family torn apart since my daughter’s murder, and the idea of having to face the lengthy legal process associated with a death-penalty case is unbearable. We have endured enough pain and tragedy already." Read more about Mother of Murder Victim: "The Death Penalty Would Inflict Additional Pain on Us"
Orthodox Jewish Organization Calls for an End to Capital Punishment in the U.S.
"As Jews, as citizens of a nation dedicated to liberty and justice, we believe that governments must protect the dignity and rights of every human being. The use of the death penalty, in America, fails to live up to this basic requirement," wrote Rabbi Dr. Shmuly Yanklowitz (pictured), founder and President of Uri L'Tzedek, the Orthodox Jewish social justice movement. In a column for Jewish Journal, Rabbi Yanklowitz outlines the reasons for Jewish opposition to the death penalty, focusing particularly on the issue of innocence. "[O]ur American system today lacks the highest safeguards to protect the lives of the innocent and uses capital punishment all too readily," he says. "It is time to see the death penalty for what it is: not as justice gone awry, but a symptom of injustice as status quo" with "consequences [that] ... produce racially disparate outcomes." Rabbi Yanklowitz cites numerous studies that have estimated 2-7% of U.S. prisoners are likely innocent, then ties the issue to Jewish teachings. "Jewish law strongly upholds the principle that the innocent should be spared undue punishment," he explains, recounting the biblical story of God agreeing to spare Sodom and Gomorrah if there are even ten righteous people in those cities. He lauds the work of organizations like the Innocence Project, which work to free people who have been wrongfully convicted. "This is nothing short of the championing of justice over inequity, and as a community, we must support their work. Jewish community leaders should call for an end to this cruel practice, but also for the beginning of a new paradigm of fair, equitable, and restorative justice," he concludes. Read more about Orthodox Jewish Organization Calls for an End to Capital Punishment in the U.S. In a recent Washington Times op-ed, two former state supreme court chief justices argue that a state supreme court justice who, as district attorney, had authorized the capital prosecution of a defendant, should not have later participated as a judge in deciding an appeal in that case. Gerald Kogan (pictured, l.), former chief justice of the Florida Supreme Court, and Michael Wolff (pictured, r.), former chief justice of the Supreme Court of Missouri, joined a number of other former judges who had been prosecutors and former appellate court jurists in filing briefs supporting the position of Philadelphia death-row prisoner Terry Williams in the upcoming U.S. Supreme Court case, Williams v. Pennsylvania. The case, which the Court will hear on February 29, concerns the participation of Pennsylvania Supreme Court Chief Justice Ronald Castille in the prosecution's appeal of a trial court ruling that had overturned Williams' death sentence because of prosecutorial misconduct. The appeals court reversed the trial court and reinstated Williams' death sentence. Kogan and Wolff say that Castille should have recused himself from hearing the appeal. "We, along with many other former judges, have urged the Supreme Court to find that Chief Justice Castille’s prior relationship to the case created an impermissible risk of bias," they say. "As the former district attorney, Chief Justice Castille personally, in a handwritten note, authorized seeking the death penalty for Mr. Williams. Moreover, he used the Williams death verdict to support his campaign for the Supreme Court seat. And finally, considering the case required Chief Justice Castille to evaluate a court’s finding of misconduct against the office over which he formerly presided." A decline in executions is likely in Missouri after two years of unusually high numbers. In 2014, Missouri tied with Texas for the most executions in the U.S., and it was second to Texas in 2015. However, changing attitudes about the death penalty--similar to national shifts--are evident in Missouri's sentencing trends: no one was sentenced to death in Missouri in 2014 or 2015, and less than one person per year has been sentenced to death in the past seven years. Moreover, a bill with bi-partisan support has been introduced to repeal the death penalty. It passed the Senate General Laws committee in late January. An editorial in the Columbia Daily Tribune highlighted the political diversity in the legislative support for the measure. Among those who voted the bill out of committee were two Democrats and two Republicans. Sen. Paul Wieland cited his pro-life views as a reason for support, while Sen. Rob Schaaf said, as long as it is "not fairly applied...I'm going to be opposed to the death penalty." VICTIMS: Murder Victim's Daughter Says "Broken" Death Penalty Doesn't Bring Closure and is "A Waste"
Dawn Mancarella, whose mother, Joyce Masury, was murdered 20 years ago, called the death penalty "a waste of energy and money [that] doesn’t bring justice or closure." 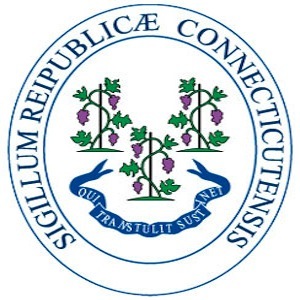 Sharing her views on the death penalty in a column for Connecticut's Register Citizen, Mancarella expressed support for the Connecticut Supreme Court's 2015 decision declaring the death penalty "incompatible with contemporary standards of decency in Connecticut." "It’s disappointing to see that the court is re-visiting this decision," she wrote, "but I hope they will affirm the original decision and leave the death penalty behind us." Mancarella said that the death penalty forces victims' family members to "go through the pain of reliving their loved one’s murder over and over again, year after year" through the lengthy appellate process. This, she says, "is the opposite of justice and closure — even if the convicted offender is put to death in one, ten or twenty years, the anguish of losing your loved one never goes away and a state appointed execution doesn’t make you feel any better." She contrasts the energy and money expended on the death penalty with the state's treatment of programs to help victims' families heal: "it is beyond frustrating to see millions of dollars invested into a single capital case," she says, "while victims’ services are perpetually underfunded." She concludes, "It is time to give back our misplaced time and energy to the survivors of homicide for their healing and truly honoring their loved one." Read more about VICTIMS: Murder Victim's Daughter Says "Broken" Death Penalty Doesn't Bring Closure and is "A Waste"